We left early for the border which we know would be at a high elevation since there were mountains between Argentina and Chile. We didn't dress warmly at the start and when the temperature started to drop we were only about 10 km from the border and didn't want to stop. Initially when we first saw the sign welcome in Chile we were thinking that we didn't stamp out of Argentina , did we miss the border ? Then when we reached the border we found out that both the Argentina and Chile side were together in one place. It took us almost 3 hours to cross the border half of it was waiting for our turn in a long line, and the other weeding through the paperwork. on the border we met three Brazilians and shared stories. 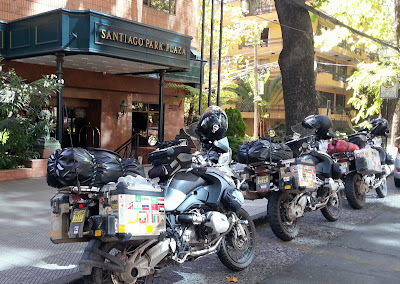 We then continued on to Santiago initially on a mountain road that had a wet railroad track that was crossing the lanes diagonally. the tires slipped a bit but we heard later that part has stopped many bikers on that road. 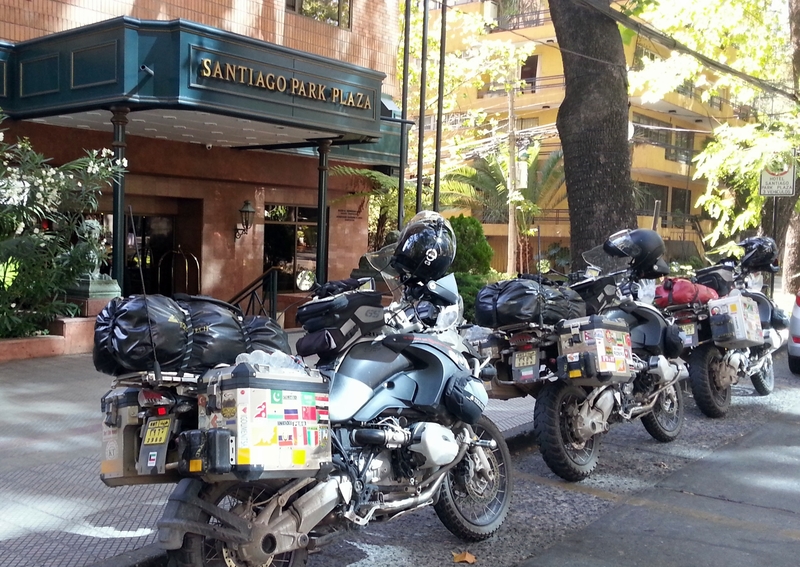 We stopped for fuel 20 km before Santiago and took a break. We reached the hotel in the early afternoon and rested especially since Ali's implant was really acting up. 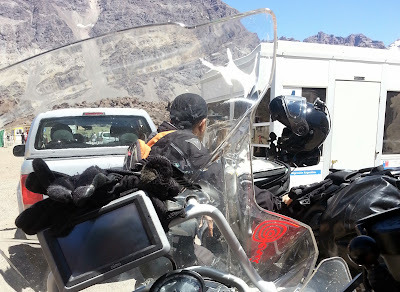 Tomorrow we take the bikes in for service at the local BMW dealer and take Ali to the Dental clinic for his appointment.